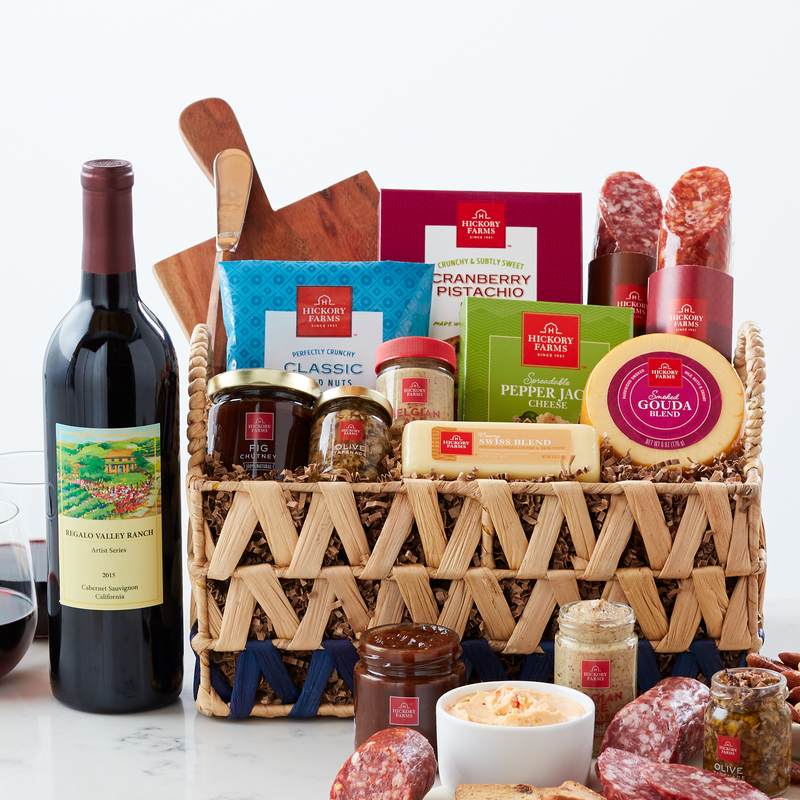 This meat and cheese gift basket has all the essentials to create a beautiful charcuterie spread, just add wine glasses! It's filled with savory salami, smooth and creamy cheeses, and unique toppers like mustard, chutney, and tapenade. Serve with Cranberry Pistachio Crisps and mixed nuts for added crunch. There's even a mini cheese board and cheese spreader for effortlessly chic serving and a bottle of Regalo Valley Ranch Cabernet Sauvignon to toast to the season! Send this wine gift basket to your favorite party host for a delicious treat they'll love to share with friends and family.